Hey guys! 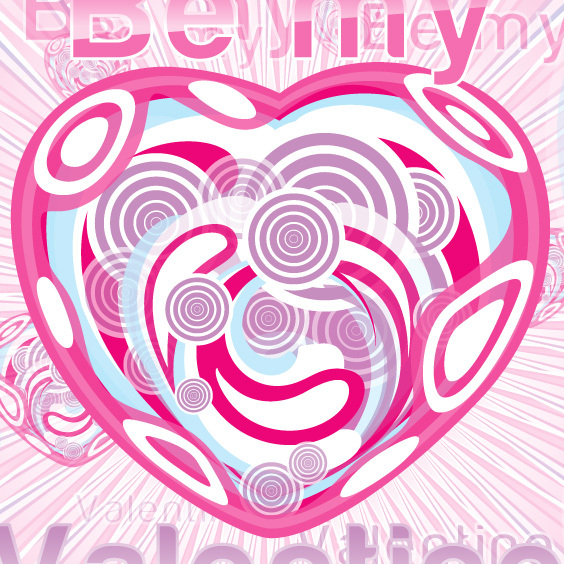 Maybe it’s a bit to early but this month’s vector freebie is dedicated to upcoming Valentine’s Day. You can use this artwork as a Valentine card or a base for a poster. 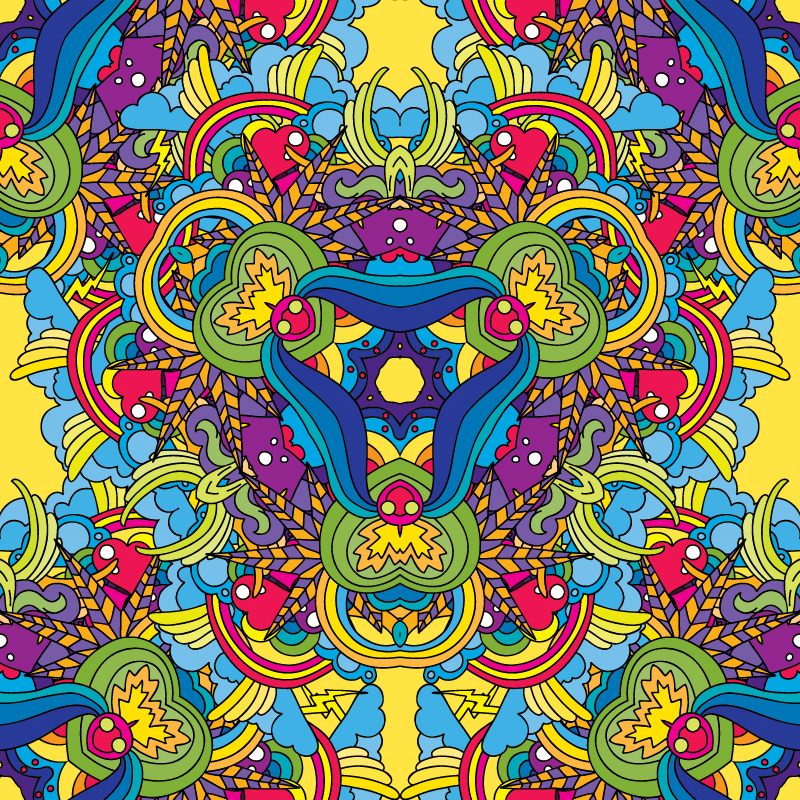 It’s pretty easy to colour it ’cause it’s a vector file and every black and white part of the drawing is a separate object. Hey guys! Check out the new wallpaper I did for you! 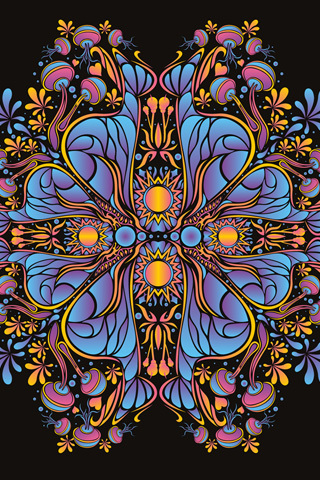 First I wanted to make a new psychedelic vector freebie, but it turned out to become an illustration. 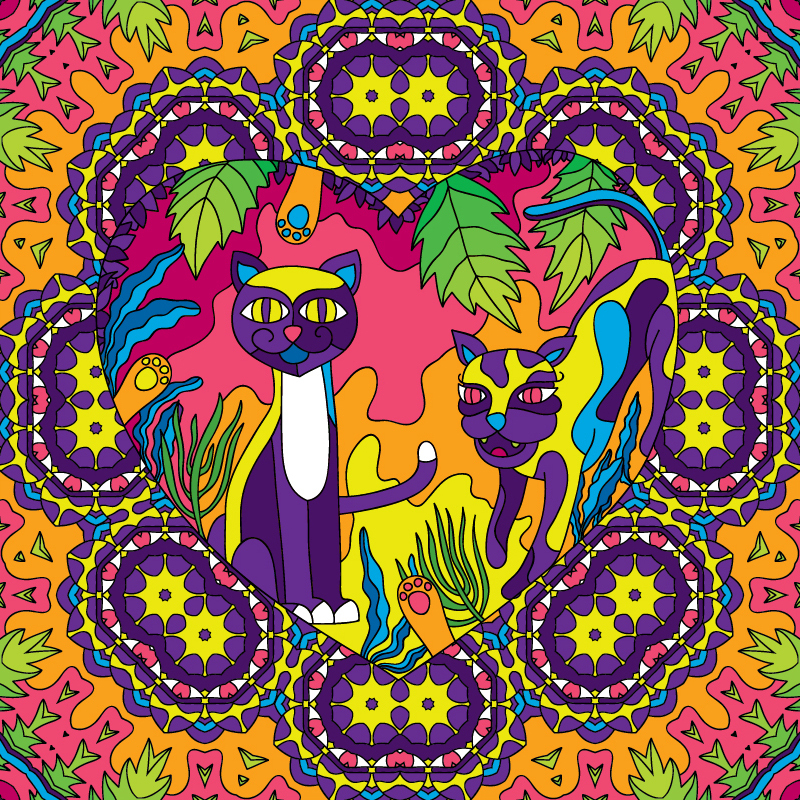 So this is kind of double freebie for you people. 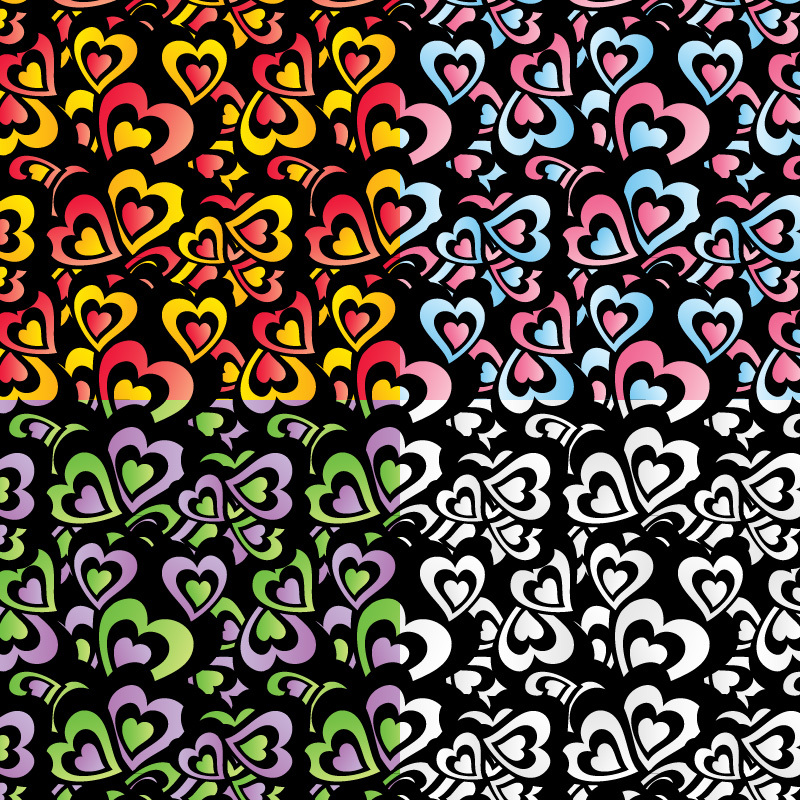 This is a set of 4 colorful hearts vector patterns. 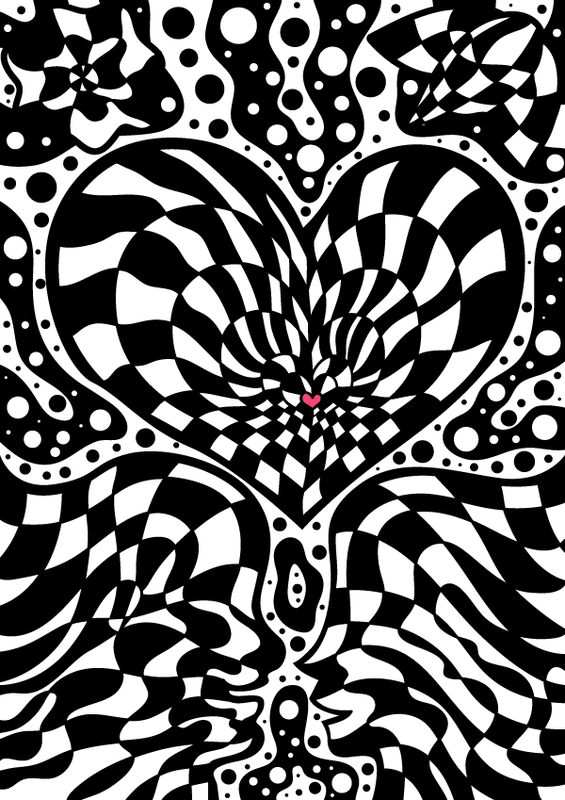 The patterns are perfect for Valentine’s day cards or flyers backgrounds.